Halo Aesthetics is a reputable, professional cosmetic and skin health clinic located in Central Milton Keynes. 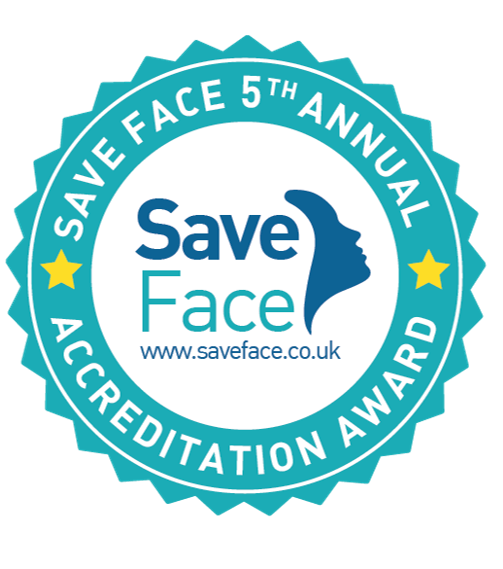 We are committed to providing safe and effective cosmetic treatments, in a modern, clinical environment, to deliver long lasting, natural looking results. All treatments are performed by our experienced Aesthetic Nurses, Nikki Zanna RN NIP and Jas Watson RN who are both highly skilled in cosmetic procedures and will guide you through a full skin consultation before recommending a treatment plan which takes into account your concerns, your expectations and your budget. Nikki and Jas are both members of the British Association of Cosmetic Nurses. 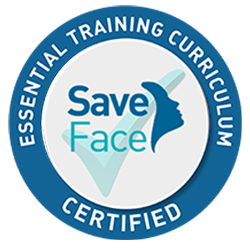 We aim to deliver safe and effective treatments, which are tailored to your individual needs. We believe in taking a balanced ‘Artistry in Aesthetics™’ approach to cosmetic treatments and pride ourselves on our high standards of care, from initial Consultation through to aftercare. At Halo Aesthetics Cosmetic Skin Clinic you can be assured that you are in the hands of fully qualified and experienced medical professionals. Stunning clinic in a convenient location in Central Milton Keynes. Great advice and really impressive results - thank you! Stunning clinic in a convenient location in Central Milton Keynes. Great advice and really impressive results – thank you! I came to Nikki as I hated the amount of skin pigmentation I had. I was very self conscious of it and used camouflage make-up to cover it up. 5 months later the pigmentation is almost gone and as an added bonus my skin is clear, lines and creases have vanished and my skin is so so smooth. The transformation is incredible. Thank you!! I cannot recommend Nikki enough, she is everything you want in a practitioner. She is patient, gentle, thorough, but always leaves you natural. Wish i could give her 10 stars!!! Such a professional and offers great aftercare. I’ve never felt better!! I came to Nikki as I was incredibly self conscious of my skin pigmentation. I needed camouflage make-up to try and disguise or cover it up and I hated it. in the 5 months I’ve been seeing Nikki the transformation has been incredible. the pigmentation has almost faded – and as an added bonus my skin is so smooth, and lines and creases have vanished. I wouldn’t hesitate to recommend Nikki – she’s lovely, the clinic is modern and always spotless and most importantly she’s performed wonders with my skin. Cannot thank Nikki enough, she made me feel so at ease and I love my new lips! It was my first time and had natural jitters before hand but it was almost pain free, barely felt it! And her new gadget is incredible! I’ve had my lips done a number of times and I was never happy with the results until I met Nikki! She made me feel so comfortable, she was very professional and I’d definitely go back again! Fantastic treatment! Made me feel at home, brilliant aftercare and advice. I highly recommend this clinic. Nikki was so friendly I was instantly put at ease. Every step of the procedure and after care was fully explained to me and recommendations for other products I would benefit from was extremely useful. I Would definitely recommend and look forward to future treatments. Thank you! This was an enjoyable experience with professional service and great results. Nikki listened to me and provided me with exactly what I requested. Rate highly. After being at my wits end for the past 2 years with problem skin I booked an appointment with Nikki at Halo Aesthetics. Nikki immediately put me at ease with her friendly and easy going nature and recommended a course of skin peels. Three months later my skin looks amazing, I’m overjoyed with it and it has been worth every penny. It is scary letting someone do things to your face but I can honestly say I trust Nikki 110% and wouldn’t go to anyone else. I love visiting Nikki- she never rushes but takes the time to catch up, review treatments etc. I never feel pressurised either into having anything additional. The clinic is in a beautiful , quiet location with plenty of parking. In the past I have had bruising but Nikki has a magic deep tissue cream which solves the problem. Wonderful, professional and friendly. Will continue to return. This was my first treatment and I had Botox and Lip fillers at the same time. Nikki was very reassuring and considered my nervousness. She was very polite and professional and she understood me and how to relax me by having a laugh, she was very funny which made it unique and personal to my experience. I have now foundry anti aging queen and will use her for the for see able future and recommend highly to use her. Ive been a client at Halo Aesthetics for nearly two years. amazing. I would never go anywhere else. I arrived feeling very nervous as it was my first every experience at cosmetic surgery. After my consultation I felt ready and happier and had every faith in Nikki to proceed and felt she knew 110% what I wanted her to achieve, an absolute expert and my results are by far excellent! Over the moon with them, and has given me that confidence I needed. Highly recommended Nikki. Magic Hands! Very pleased with the results of my treatment. Great advice and care given, will be going back for more treatments without a doubt! I felt in good hands with Nikki. Nikki is knowledgeable and doesn’t force any treatments on you but gives you advice and options. Loved my treatments with Nikki. I would always recommend her. I was very unsure at first but Nikki put me at ease and was very good at explaining everything and answering all my questions. I arrived a bit apprehensive but was soon to be made to feel at ease. The care & attention was second to none. Left feeling more confident within myself. Nikki always makes me feel beautiful!! Already looking forward to trying one of her special facials! Nikki is a very professional Practitioner and this is evident in her manner and approach to treatments. I was very happy with the treatment I had and the results have exceeded my expectations. I would have no hesitation in recommending Nikki and Halo Aesthetics to anyone considering Aesthetic or Skin treatments.